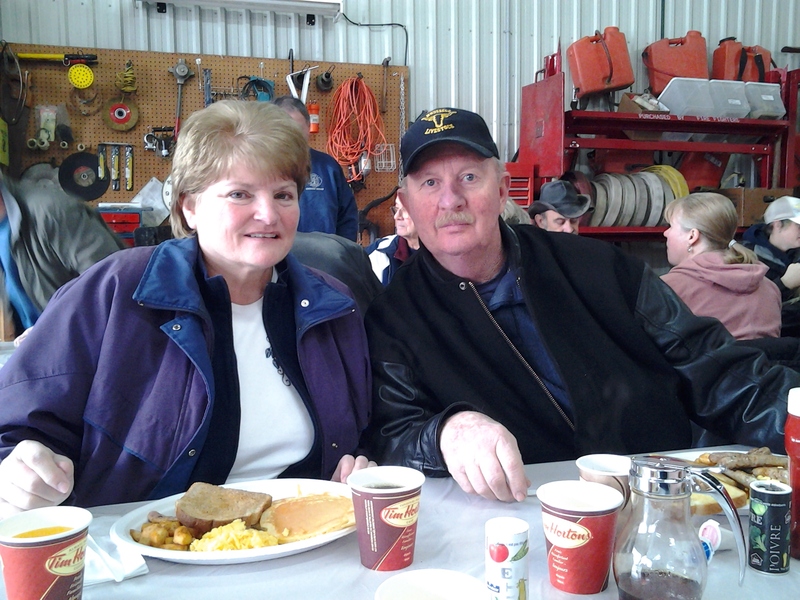 Jim & Eleanor Weigand enjoy their Pancake Breakfast prepared by the Grand Bend Fireman at the Grand Bend Winter Carnival, 2013. 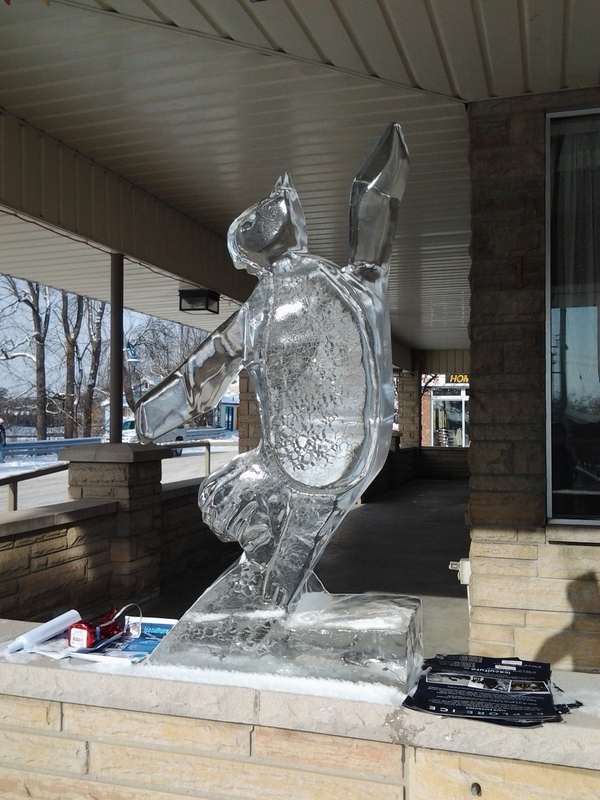 Once we made it to the food, it was easy to see why the lineup for the Fireman’s Breakfast in Grand Bend this past Sunday was out the door. I am not the most patient person when it comes to waiting in line but this one was definitely well worth the wait. 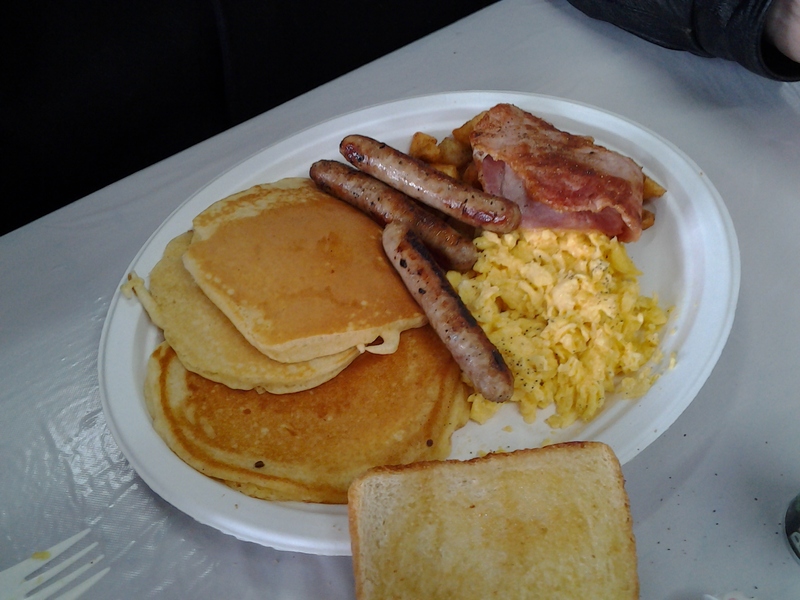 The food was excellent, and there was plenty of it including bacon, sausage, pancakes, scrambled eggs, home fries, toast, and orange juice and coffee to drink. There were a large number of Fire Fighters and volunteers on hand to keep up with the crowd, including Sparky the Fire Dog who did his best to keep the children entertained. 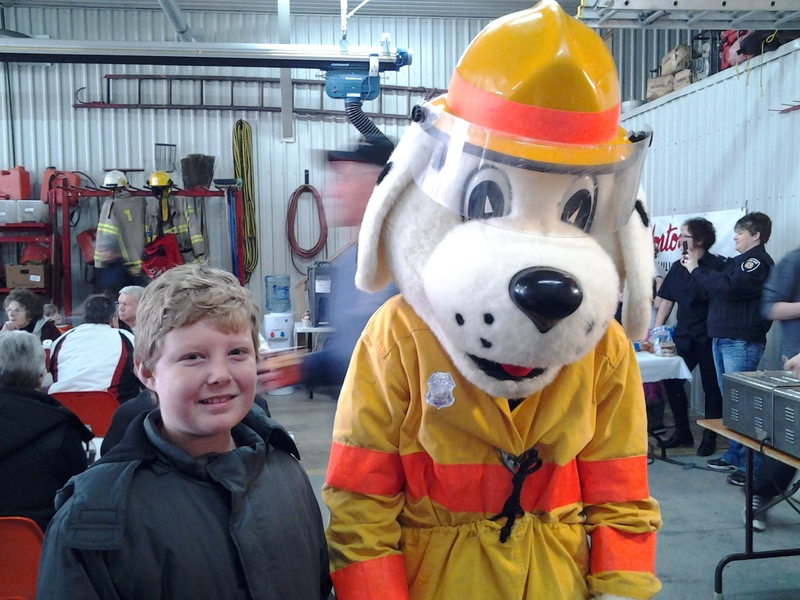 Sparky the Fire Dog with Ryan Willert at the Grand Bend Winter Carnival. 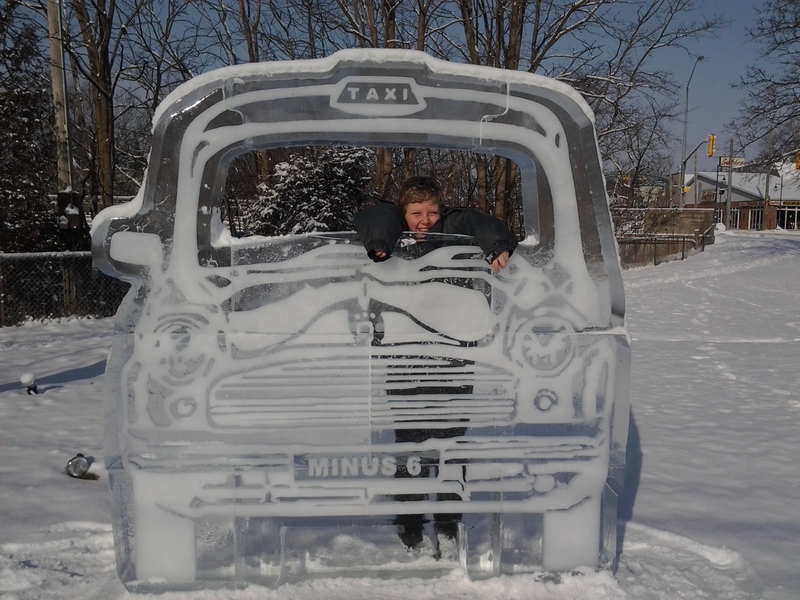 Ice Sculptures at the Grand Bend Winter Carnival 2013.